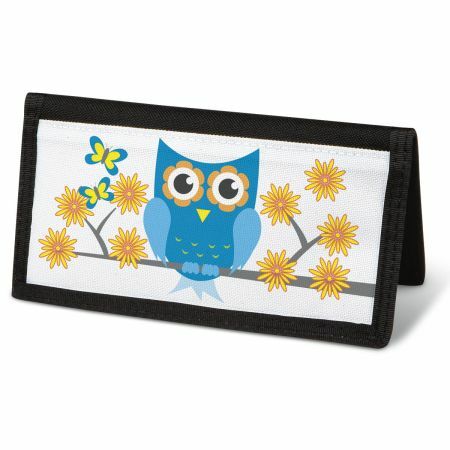 A wise choice, playful cover is designed to match our Owluminations checks! A fanciful addition to all your check writing, sturdy canvas cover features slip pockets for credit card or ID, and plastic flap for duplicate checks. 3 1/2" x 6 1/2" folded; fits standard size checks. Available in Personalized and Non-Personalized.